Botanical Name: Tamarix chinensis Lour. (Family: Tamaricaceae). Meridians: Lung, stomach and heart. Indications & Combinations: Early stage of measles due to attack of wind and cold manifested as measles without a rash. 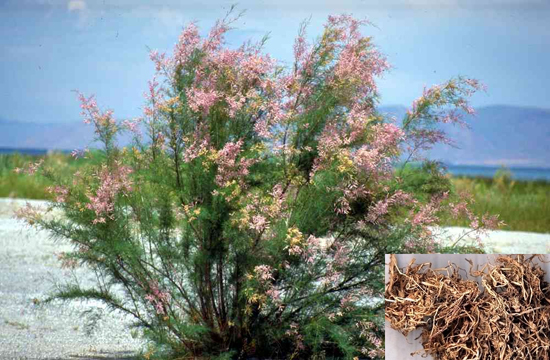 Tamarisk tops (Chengliu) is used with Cicada slough (Chantui) and Arctium fruit (Niubangzi) in the formula Zhuye Liu Bang Tang. Cautions & Contraindications: This herb is contraindicated in measles with a rash. A large dosage can cause restlessness.